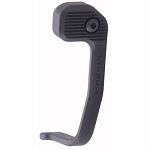 MAGPUL AFG2 Angled Front Grip is a more slim and shorter version of the AFG1 front grip from MAGPUL. 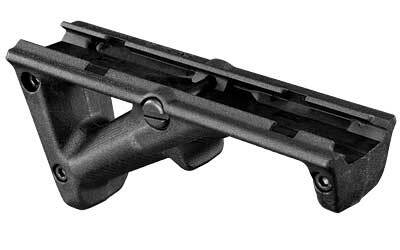 Reduced size allows the mounting of the AFG2 on a wider variety of rifles and carbines and makes it more compatible with the rail covers. 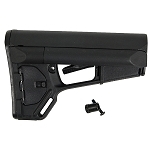 MAGPUL AFG2 Angled Front Grip mounts to 1913 Mil Spec Picatinny rails and delivers greater weapon control, faster follow up shots, and reduces fatigue of the operator. The shooter's hand is positioned closer to the centerline of the bore than with a conventional vertical grip. 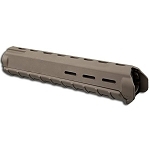 This allows for greater accuracy and more natural body integration with the MAGPUL AFG2 Angled Front Grip.